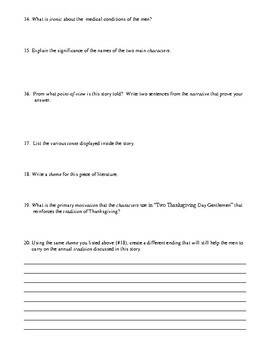 Teachers will give "thanks" for this review (or assessment) that will catapult students into a full understanding of this popular short story. 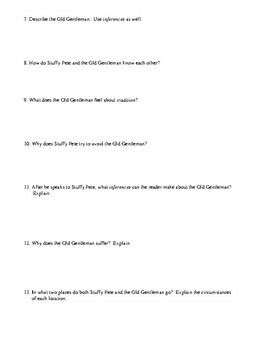 Interspersed with literary terminology such as theme, setting, inference, and more, readers will be prompted to provide answers to an array of important questions that reinforce the essence of the narrative. 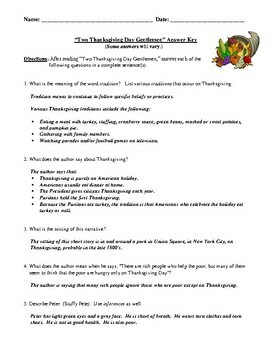 This versatile printable may be used as an individual, partner, or group activity or may be used as a homework assignment. A detailed answer key is included for each.